Chip Kelly to leave UO for Eagles, Mullens to pay off overhead bill. 12/1/2012: That’s the rumor from the coaches’ hot tub. If true, Kelly’s contract requires him to pay UO $2.5 million. VPFA Jamie Moffitt will make sure this goes directly to the academic side, to cover the AD’s 3 years of overhead underpayments, and reimburse our students for half this year’s Jock Box costs. Right, Jamie? 11/9/2012: Forgive me for bragging a bit: I want this in my service report for post-tenure review. Starting last fall I posted a series of stories on the UO athletic department’s overhead rate, using documents obtained with public records requests and petitions. While athletics had originally been scheduled to pay 7%, instead they were only paying 3%. Eventually I traced this to a secret agreement between Dave Frohnmayer and his athletic director Pat Kilkenny, signed 2 weeks before Frohnmayer stepped down as Pres. Steve Duin had a good column about it in the Oregonian. Jamie Moffitt knew about this deal, but she and AD Rob Mullens kept the Senate IAC in the dark until the public records requests made her reveal it. I started digging into overhead after hearing Mullens and Moffitt (at the time in charge of athletics finances) tell the IAC that the athletic department is “self-supporting” – and then finding out their math depended on sticking the academic side with the bill for the Jock Box and the NCAA lawyers. Made me wonder what other crawly things were hiding under that rock. Overhead turned out to be one, though there are plenty of others. Athletics will have to pay $555,227 in new money to UO every year – funds now available for the university’s other functions. Yippee. Of course, this means that they owe us $1,665,681 for the past three years. Not to mention the other millions in subsidies we have paid them and are still paying them. The Mac Court deal, for example, is costing us $467,000 a year. Jock Box tutoring $1,830,000. And there are some other expensive problems with how the new rates are calculated, and what they exclude – mostly things that benefit athletics and cost other units. But this is a start. And a big payoff for UO’s academic side. So next time you hear Dave Hubin complaining about the $50,000 that my public records requests have supposedly cost UO – he still won’t let me see that list – ask him about the benefits. OUS gives up on monitoring Duck finances – will Gottfredson? The UO Athletics working capital as of June 30, 2011 was a negative $2.6 million, a decrease of $1.1 million from the prior year. 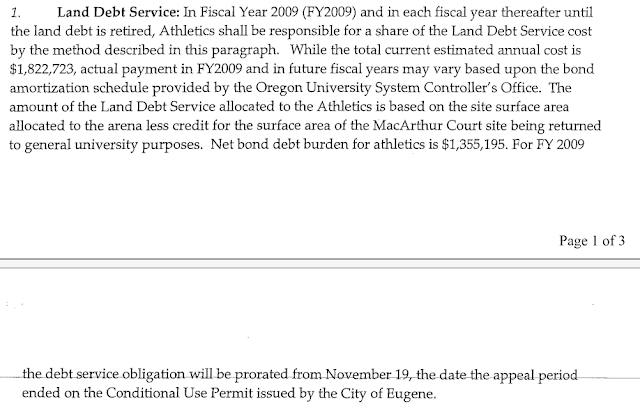 The UO Athletics ended FY2011 with negative working capital and is not in compliance with the Board’s directives relating to deficits. The UO Athletics continues to operate without any direct institutional support. That was a bold claim about institutional support, often made in the past by Rob Mullens and Jamie Moffitt, but more recently disavowed by UO after news stories about the $2 million Jock Box tutoring subsidy, overhead rate manipulations, Mac Court rents, and so on. And now we learn the academic side is giving them large interest free loans for working capital – while Knight’s legacy fund sits at the foundation, earning interest for the jocks to funnel to higher coach salaries or their new golf course. 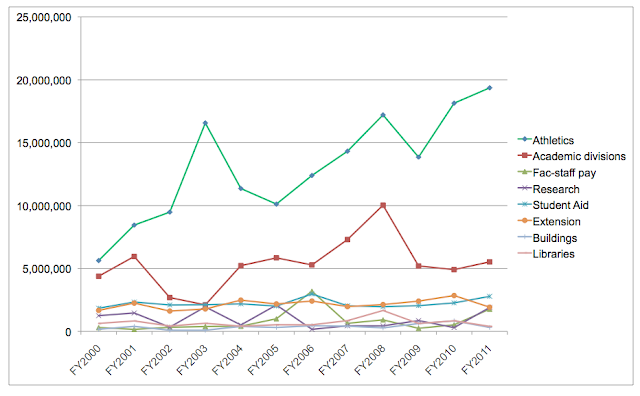 Per our business affairs/controller’s office, the OUS is not compiling this report anymore beginning with FY12. How convenient. Go Ducks! 10/27/2012. Even as the University of Oregon football team geared up this fall for another BCS run, an enterprising student/faculty committee began asking questions about the hidden subsidies that sustain the myth the Ducks’ athletic department is self-supporting…. As The Oregonian’s Rachel Bachman (now with the Wall Street Journal) detailed last fall, UO diverted $8.5 million in general fund dollars from 2002-2010 to pay for academic support — including tutoring and counseling — of its athletes. I don’t know if this new MOU is about the tutoring costs, the overhead rate, the Willie Lyles / Chip Kelly costs and fines, the $467,000 Mac Court scam, the Skybox tickets, the bowl game junkets, or some fresh scheme dreamed up by Mullens and Moffitt. They’ll tell the Senate when they decide to tell the Senate. Or maybe they won’t. Just kidding, they’ve already blown it all on raises for themselves – and I don’t mean for the players. Rob Moseley has half the story here. 10/4/2012. 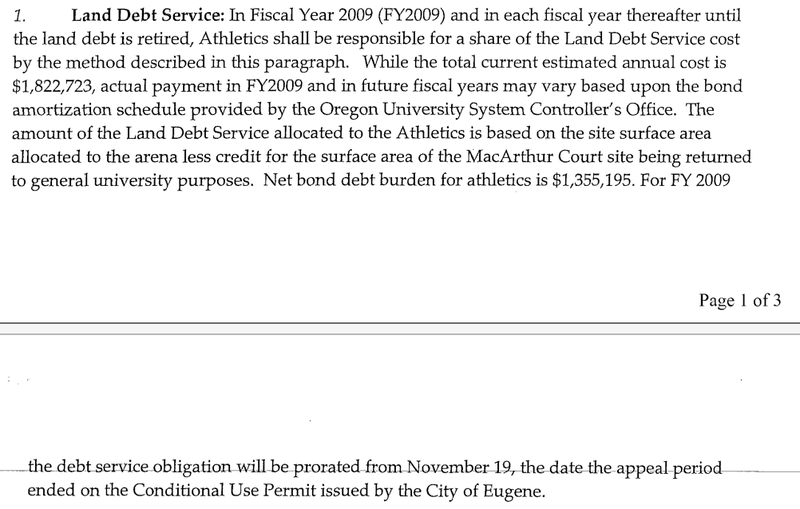 Q: Has UO considered taxing the athletics program? Current athletic director Troy Dannen took over the battle in the spring of 2008, and just a year after landing the job, Dannen had to make the difficult decision to eliminate the baseball program. At the time, the university was looking for ways to trim its overall budget by 20 percent, equal to about $20 million, while at the same time facing a 9 percent reduction in state funding. For athletics, that meant a cut of more than $500,000 in the 2009-10 budget. Dannen covered that shortfall by eliminating baseball, reducing travel budgets and leaving several positions in the athletic department unfilled. That’s the University of Northern Illinois. This happened because the system Chancellor and the President made it happen. Here at UO the subsidies, and the lying about them, continue. I wonder what sort of meetings President Mike Gottfredson and Rob Mullens have been having about how to stop it. 9/5/2012. Pres Gottfredson to watch Arkansas game? And last fall the UO Foundation’s annual report revealed a $1.4 million cut in the amount it provides for academic scholarships, and a $2 million increase in their own administrative expenses. 9/1/2012. We report on an experimental test of the Weak Axiom of Revealed Preference (Samuelson, 1938). We recruited approximately 6,000 University of Oregon student freshman, offering a combination of higher education and athletic entertainment in exchange for tuition, fees, and opportunity costs ranging from $0 to $100,000. In an effort to obtain a bound on the hedonic value of the football component of this joint commodity we then offered the freshman free tickets to attend a Duck football game. UO’s educational quality and the non-educational hedonic benefits of college life were held constant. Fewer than 229 freshman subjects accepted this offer. We assume continuity to conclude that 95% of UO’s entering class wouldn’t watch the Ducks humiliate Arkansas State even if you paid them. This work demonstrates that the athletic department was wasting money when they paid AS $950,000 to play UO, and that the value of football – or at least bad football – has been oversold as a UO undergraduate admissions recruiting tool. We conclude that there is no statistically significant evidence of irrational choice behavior on the part of this sample of UO undergraduates. GAINESVILLE — Florida’s athletic department, the University Athletic Association, will contribute $6 million dollars to the university this fiscal year, but is having to take roughly $500,000 out of its reserves to do so to make up for a 7-percent shortfall from the previous year reported in its 2012-13 operating budget executive summary. The UAA, which operates separately from the university, budgeted a $5.575 million contribution to UF. That’s down from $6 million a year ago. A UF spokesman said the UAA would still contribute $6 million to the school, drawing on reserves. Just kidding. While Kitzhaber fired Lariviere in part because of the 6% raises he gave faculty, and rescinded the raises Kroger gave at the DOJ, there’s no sign he is going to do anything about the 21% raises that Athletic Director Rob Mullens and Bob Berdahl gave the coaches – paid in part with UO tuition money. I guess the coaches are more important to UO’s academic mission and the Gov’s 40-40-20 plan? 8/16/2012. The University of Oregon released on Friday a list of proposed amendments and additions to its current student-athlete drug policy, including implementing random drug-tests. The amendments and additions will not be enacted until after a public hearing has occurred. The hearing will take place on Aug. 23 at 2 p.m. in the Walnut Room of the EMU. In order to make these changes a reality, the UO is requesting $35,000 of additional annual funding from the Oregon University System. The NCAA’s random drug testing rules appear to violate both Oregon law and the sentiment of Oregon voters. A pot legalization referendum just made Oregon’s November ballot, and Nigel Jaquiss of Willamette Week reports that 1/3 of Oregon Attorney General Ellen Rosenblum’s campaign donations come from dope growers and their supporters. Given this, and since good cheap weed and lax testing seems to be an important recruiting tool for the Ducks, I assume all involved know this new policy will vanish as quickly as a bong hit of Purple Kush in a crowded Courtside Apartment living room. Anyway, there are many ways to manipulate hair drug testing so that you pass, so it’s quite hard to know who is and who isn’t taking drugs anymore. 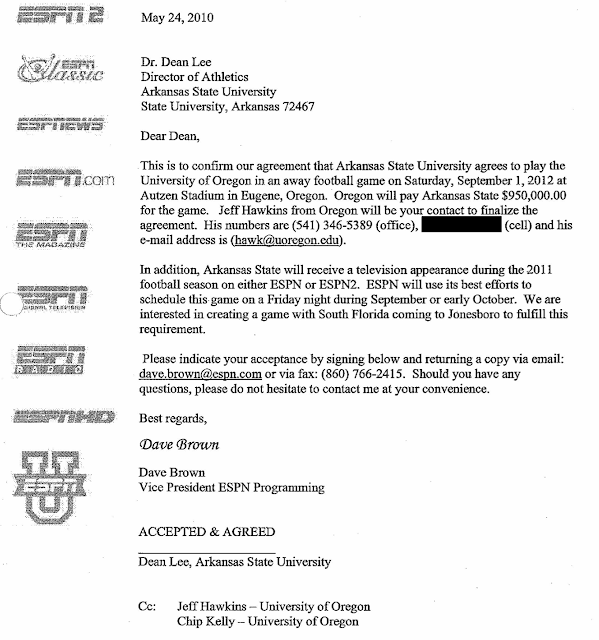 Just an attempt by Rob Mullens to convince the NCAA he’s doing all he can legally do. 7/13/2012. With more and more ways being created to assist people to beat random drug screening tests is there anyway we can really know for sure if someone has legitimately passed a drug screening tests or if they have been online and bought and used something to help them beat the test. Although none of the methods offer 100% success in beating the urine test there are those that now offer a 99% success rate, that being said it does depend on whether the drug urine test is supervised or unsupervised. To read more about the different types of methods that are now being used to beat drug tests visit ouchclub as they have a wealth of information pertaining to the most current methods. With its multimillion-dollar deficit mounting and no deep-pocketed donor to cover the shortfall, the University of Maryland’s athletic department will proceed with plans to cut at least seven of its 27 varsity teams this weekend. The downsizing is an attempt to correct an unsustainable pattern many households know well: Spending more than you earn. But the forces behind the bleak reality in College Park aren’t unique to Maryland. Athletic departments at nine out of 10 public universities that compete in big-time sports spent more money than they generated last year — and many are grappling with the question of whether dropping some sports is the solution. I’m not sure if UO is still claiming that the athletic department balances its budget. We don’t – but if we cut baseball, I think we’d come pretty close. The University of Oregon, which enrolled about 500 California freshmen five years ago, has also seen that figure balloon to more than 1,000 in 2011. The university’s increased presence in the Golden State, paired with the wandering eyes of frustrated parents and students, has led to a boon for the school, said Roger Thompson, vice provost of enrollment management. But the administration continues to spout the fiction that winning sports teams lead to increased enrollment. To justify the subsidies for Kilkenny’s baseball? Come on. That money would hire 20-40 new profs – enough to make at least a dent in the student-faculty ratio and increase the chances students can get their courses and graduate on time. Do you think UO administrators would support these subsidies – or at least look a little more closely at them – if they weren’t getting thousands of dollars in free tickets and travel to away games for themselves – and often their families too? Why isn’t Bob Berdahl worried about this sort of conflict of interest?